Your students love technology — they use it constantly on their phones, laptops, gaming systems, and televisions. They might even live in homes with smart devices that they can command to turn on the lights or adjust the air conditioning. They can track their steps and heartbeat on their Fitbits, and they use FaceTime to talk to their grandparents who live hundreds of miles away. Technology is literally their world. It’s no wonder, then, that today’s students crave some technological interaction at school. 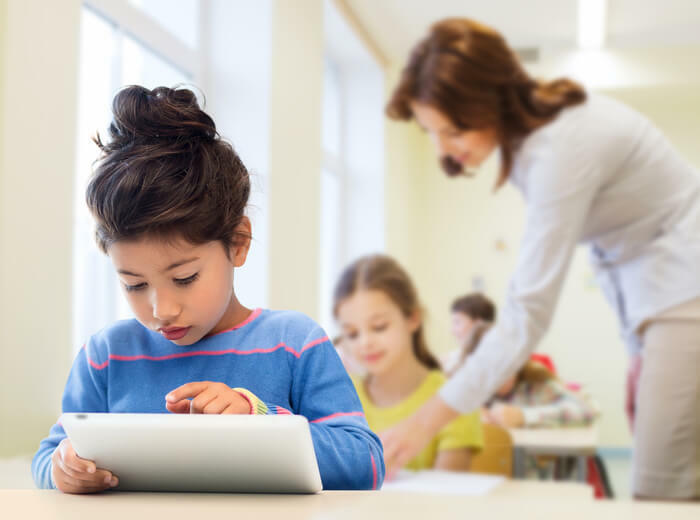 Obviously, using technology all the time may not be a positive thing — we want to see students interact with each other, and we want to see them come out from behind a screen. But technology in moderation can be a great tool for students (and teachers). It often inspires students to work harder. It helps make learning more fun, fast-paced, and individualized. And most importantly, it helps engage all students. Here are some ways to use technology to boost student engagement. When they’re not doing their homework, hanging out with friends, or watching YouTube, most kids these days are playing video games. And maybe that’s not such a bad thing after all — depending on what they’re playing, of course. Educational games are a great way to help encourage students to get involved in school. Sometimes, though, traditional classroom games (that is, ones that don’t rely on technology) don’t allow every student to fully participate. 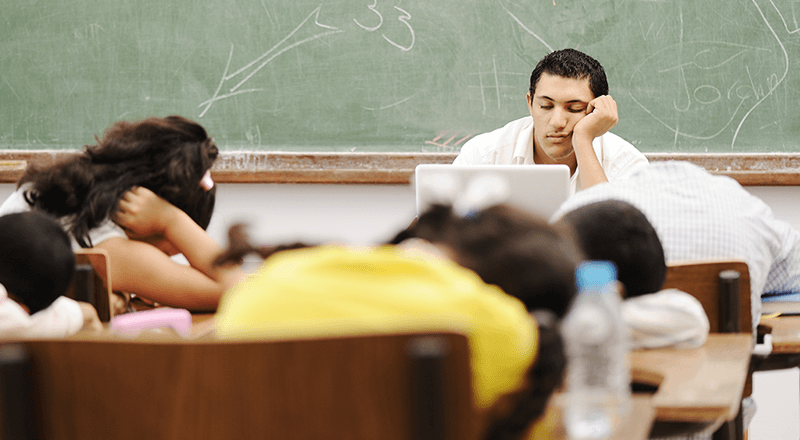 If a student shouts out the right answer, he might win — great! But a quiet student in the back of the room might try to hide behind the more boisterous students during game time. 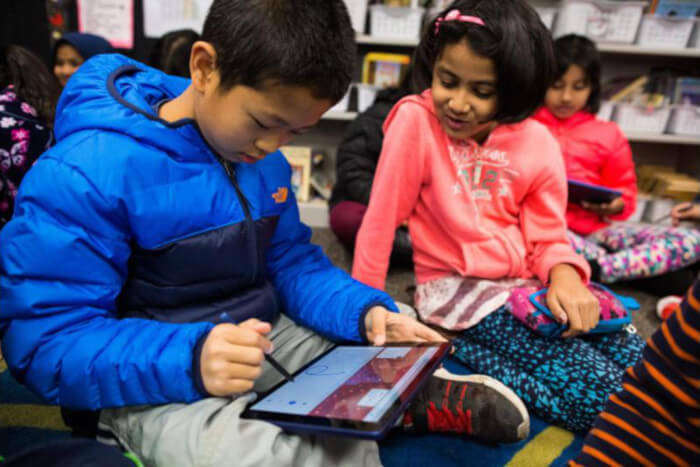 By incorporating technology into your classroom, you can create a more interactive experience for all of your students. If answers are being entered on a cell phone, tablet, or Chromebook, every student has a voice and a chance to shine. Digital games also make it easier to accommodate students with disabilities or special needs so they don’t feel left out of fun classroom activities. Kahoot is an easy-to-use platform for educational games. All students simply sign in to a game that you’ve created and answer questions on their devices. They compete against classmates to see if they can answer the questions more quickly and accurately. All students in your learning environment can participate without fearing the embarrassment of shouting out an incorrect answer. They can also see how they’re performing against classmates, but only the top five students will appear on the leaderboard. Classcraft offers class tools to breathe a little life into traditional lessons. For example, students can participate in Boss Battles where they work together to try to defeat a monster and unlock points. Every correct answer gets them closer to defeating this challenging enemy. Students become so engaged and engrossed in the competition that they often forget that they’re learning! Quizlet is an online flashcard platform that offers individual review games as well as an interactive game mode known as Quizlet Live. Students work in teams to get the right answers. No one can hide in this activity, as every student holds critical information to help the team succeed. Students are highly engaged when they watch short videos, both inside and outside the classroom. So why not capitalize on that? Nowadays, teachers can demonstrate all kinds of concepts from numerous subjects by doing a simple video search online. Teaching science? If you’re not showing episodes of Bill Nye the Science Guy, you’re missing out. Students would much rather watch a humorous video on a biology concept than to hear their teacher talk about it while drawing a crude sketch on the board. If they’re learning a foreign language, students can watch dubbed versions of their favorite shows to ease into the basic conversational vocabulary. And if you’re teaching English, why not show the class a modern adaptation of a classic play or novel and have them compare and contrast the plots? Videos can provide different types of classroom support. Some are instructional and include step-by-step demonstrations or explanations. Others are funny parodies to help illustrate a concept. Many are cheesy and amusing, and students enjoy hearing and seeing someone other than their teacher explain something. More importantly, students focus on the videos because seeing real-life events is more exciting than reading about them in a textbook. With easily accessible electronic devices, students can even create their own videos, such as for science projects or class presentations. This helps engage students because it combines a variety of interests and strengths. Students can work in groups to write the script, choose costumes and props, film and edit the video, and add music and text. 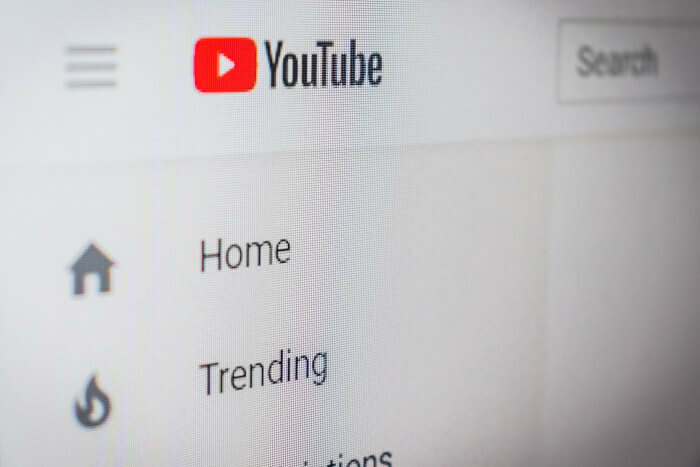 With many different jobs to offer students, a video assignment can be an excellent team project that works for all types of classes and subjects. There’s currently a general trend toward larger classrooms. Unfortunately, this means that students often lack some of the one-on-one time that teachers could more easily provide if they had a smaller class size. One way to help students get more personalized feedback is to encourage them to use online individualized activities. Not only do these activities engage students because they are often fun, but they also tailor content to each student’s specific learning level. Many programs can gauge if the student needs a more challenging question or an easier one. They can also provide feedback to let students know what they’re doing correctly (or hints to help get students back on track). As teachers monitor student progress, they can take the time to talk to students who need more help and check in with individual students to make sure they understand the material. Classcraft offers personalized, self-paced adventures known as Quests that are fun and engaging for students. They turn your existing lesson plans into personalized choose-your-own-adventure-style activities tailored to each individual student’s abilities. Quizlet also has multiple opportunities for students to practice material for classes. There are flashcards that students can flip through and mini-review games for students to play. There are also tests that will repeatedly generate questions in different formats so students can test their knowledge in different ways. Quizizz provides individual quizzes for students on various topics. Students can compete against classmates to get the highest scores, and they can complete the quizzes individually whenever they want—at home or at school—while still being part of a class activity. 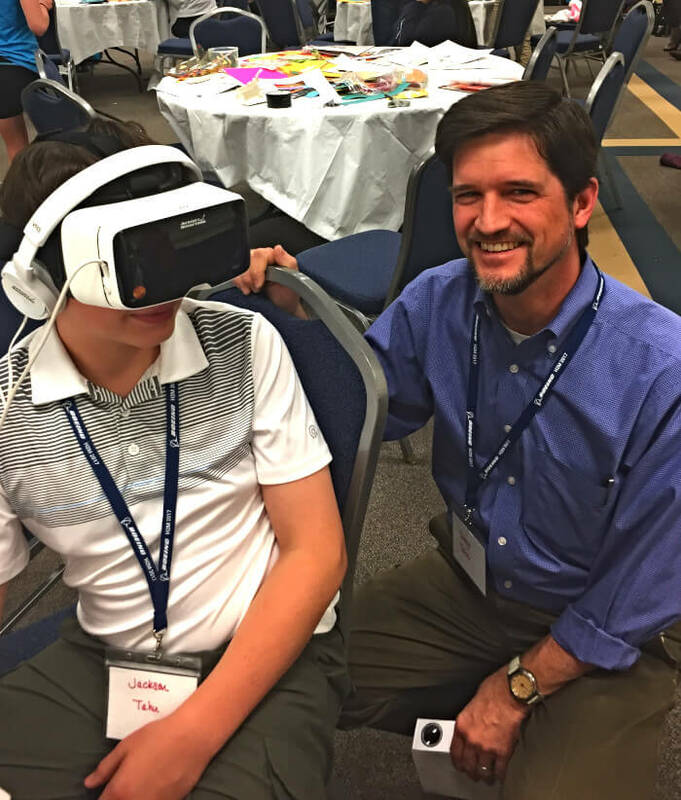 Students love to use virtual reality (VR) to learn things for two reasons: 1) it’s highly interactive and opens up entirely new worlds to explore, and 2) it’s a new, disruptive, and fascinating technology. Schools are now purchasing VR tools for classrooms that are easy to use and highly engaging for students. VR makes it possible for students to explore many different places from the comfort of their classroom. An art teacher can take students on a walk through the Louvre in Paris. A Spanish teacher can lead a tour along the streets of Madrid. Science teachers can lead students through the human body. There’s no shortage of options available online. Students can choose their own individual adventure and share their experience with their classmates. Google Classroom is a great tool to keep students engaged and informed. Teachers can offer a variety of options for students of all levels, and students can select what works best for them. If a teacher has to be absent for the day, students can still continue learning their material. If your school has multiple days off for weather conditions like snow, ice, or flooding, students can still work on the material at home with a few clicks on Google Classroom. 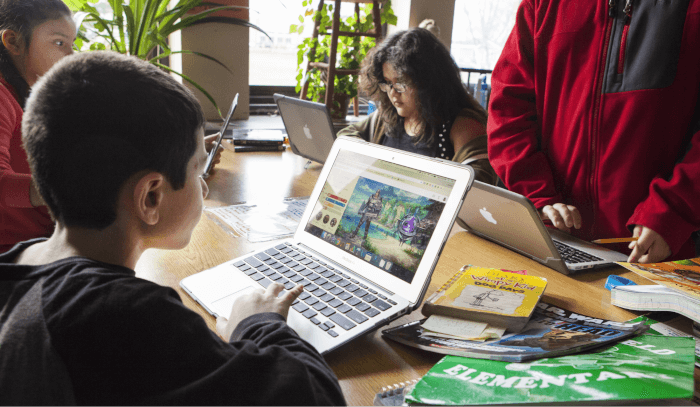 Many programs like Classcraft, Quizlet, Quizizz, and more are easily integrated into Google Classroom, making it a perfect option for any grade level. This may seem like a strange idea, but it makes sense. When parents get involved in a student’s learning, the student is more likely to be engaged in class and on top of their schoolwork. Many programs allow parents to tune in to what’s going on in class and with practice activities. Remind.com can send parents homework and test reminders to help them keep their kids on top of their classwork. Class Dojo encourages students to choose positive behaviors and tracks their behavior in class; parents can get updates on their progress. Using technology is a fantastic way to boost student engagement in learning. 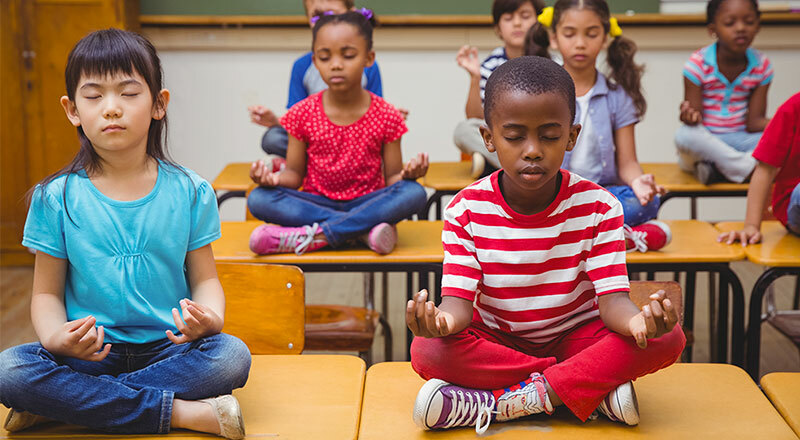 There are many different ways to enhance the classroom experience — whether through individual challenge activities, virtual reality field trips, or classroom games. Teachers and students enjoy the instant feedback and personalization that technology provides. Incorporating some technology into your lessons can provide a big boost of excitement to your learning process.